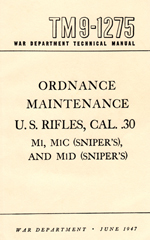 The Army's basic field manual for the M1 Garand user. Basic maintance and service information. 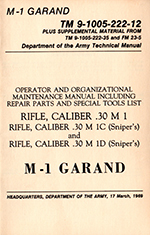 A must read for all new M1 Garand owners. Detailed repair part and special tools section.